50% of the population – both men and women - have veins that are visible on their thighs, legs, ankles, feet or various other parts of their body. They go by many names and have as many different causes. Usually these veins are not a direct threat to your health or wellbeing, however they may be unsightly and a cause for embarrassment. If you are concerned about your vein health or the appearance of the veins, we have information available on treatments for these medical conditions in our Spider, Reticular and Varicose Veins Treatment page. Often called telangiectasia, these networks of vessels are close to the surface of the skin and red or blue in color. True to their names, they may look like spider webs or tree branches and are most often found on the legs or face. 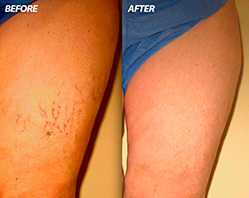 Spider vein networks can cover a very small area or can span a much larger area. Spider veins may be caused by a backup of blood in the vein, and may be aggravated by hormonal imbalances, injury, or intense sun exposure. 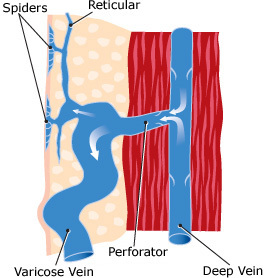 Spider veins and Reticular veins are very similar. 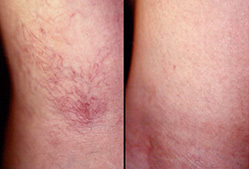 Usually, Reticular veins are larger than spider veins and have a straighter, less branched-out appearance. Varicose veins can be caused by weak valves in your veins. Weakness in the valves means that blood may drift backward into the vein on its way up your leg, causing excess blood to collect. Excess blood in the veins causes the veins to bulge and protrude. Patients Medical's highly trained staff, offers a variety of treatment options including injection sclerotherapy and laser sclerotherapy. 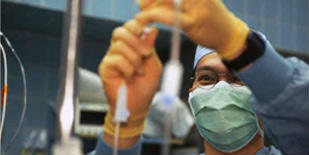 These are out-patient procedures that are safe and effective for treatment. 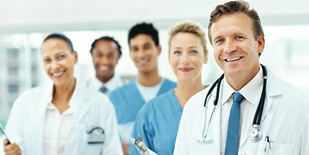 After evaluating the affected area, we will recommend a treatment plan that suits your medical condition.